The import/export industry is one of the business spheres that will continue to thrive for centuries to come and the reason isn’t farfetched. One country or the other will likely have in abundance a scarce commodity in another country, and this will bring about the need for exchange of goods and services through the importation and exportation of commodities. If you have a strong liking for international trade, venturing into an import/export business could be a great opportunity for you to transform your liking into a profitable enterprise. Quite interestingly, the internet has paved the way for starting an import/export business without any serious hassle. In this article, you’ll find out all you need to start an import/export business of your own and run it profitably. In any attempt to venture into the business of importation or exportation, one of the things you should think about is the product you wish to export or import. Perhaps you won’t be the only one in your business line and as such, it’s advisable that you decide on a particular product and specialize in its importation or exportation. All in all, you should be certain that the product you’re choosing has the potential of selling –i.e. many people are willing to buy it. One great thing is to choose a product you have a strong knack for importing or exporting while another is to be certain the product will yield sales in the long run. Provided you’ve thoroughly considered the potential of a particular product and eventually chosen it, the next step is to find a suitable marketplace for selling it. In this process, you’re likely to make a success if you can develop a strong flair for discovering potential trends or for tracking trends. Quite frankly, you could make a lifelong business fortune if you’re able to begin the exportation/importation of a profitable product before it becomes a fast-selling commodity in a foreign land. Advisably, conduct a thorough research about the best foreign market for the product or service you wish to specialize in. Getting in touch with local government officials can help you in deciding the ideal resources for carrying out in-depth market research. In the US, you could check with the U.S Census Bureau Foreign Trade –an authoritative body which regulates the reporting of export/import figures. Aside from this, some of the effective resources you could use in figuring out the best foreign market for your product are Market Potential Index and Ease of Doing Business provided by globalEDGE and The World Bank respectively. If you can make good use of any of these resources, you’re likely to track the inward and outward flow of products/services in the world. Not just any website but a quality website is needed to establish a strong networking for your import/export business. Remember that your business will cut across countries and one great way to rake in customers from any part of the world is to establish a solid online presence for your business. Through a quality website, you’ll not only create an effective means of communications but also establish a sizeable customer base. Provided you’ve already considered importing or exporting a certain product, the next step is to gain important insights about the product: learn practically all you can about the product. And if you happen to be the originator of that product, consider how best you can enhance it probably by getting in touch with a manufacturer. If you suppose the product is of average quality, you can recommend what the manufacturer should do to give it a new dimension. Gaining access to reputable importers, wholesalers, exporters, manufacturers, and suppliers might be a hectic task but if you’re connected to any of Global Sources, Alibaba and Thomas Register, you’re likely to access these people easily. Customers will locate you as long as your website is SEO-oriented. This is just why you may have to contact an SEO expert if your website/blog is not yet optimized for visibility among relevant results in search engines. However, having an SEO-optimized blog/website might not be enough for your import/export business to reel in lots of customers. Therefore, you may have to contact the embassies, trade consulates, and trade organizations in your State as they can provide you with the contact lists relevant to your business line. Moreover, they can offer you great insight into what is happening in the international marketplace and recommend the international and local trade shows at which you can establish quick connections with potential customers. Through resources such as the U.S. Commercial Service (CS) Gold Key Matching Service, you can establish an operative export business and find prospective foreign distributors, business partners, sales reps, customers and agents. While you aim to make a reasonable profit, it’s still important that you price your product favorably by ensuring that your commission is not higher than what your customer agrees to pay. In the course of purchasing a product, the manufacturer charges you a price –known as a markup over cost –and exporters/importers often charge 10-15% of this. By setting a favorable pricing plan, you’re certain to make more as you sell and without being weighed down by the markup you pay to manufacturers. 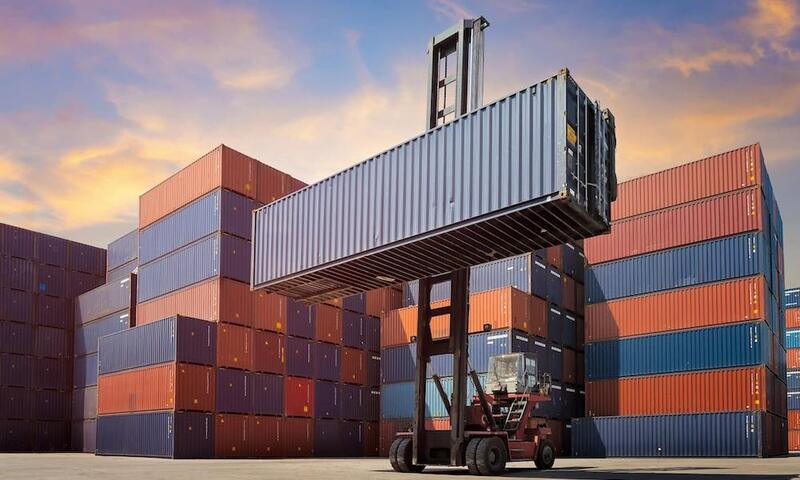 Having set a favorable pricing plan and established a substantial client base for your products, the next thing is to look out for a reliable freight forwarder whose business is to convey your products to where they will be sold. The freight forwarder can save you headaches by helping you with the management of shipping arrangements inclusive of insurance and documentation. Also, they can help you in deciding the required restrictions, tariffs, quotas, permits and licenses you should take care of to facilitate importation or exportation. Fed Express and UPS are two of the renowned companies you can partner with for reliable freight forwarding. Aside from the basic function of transporting your products, each of these two companies can help you handle payment procedures.